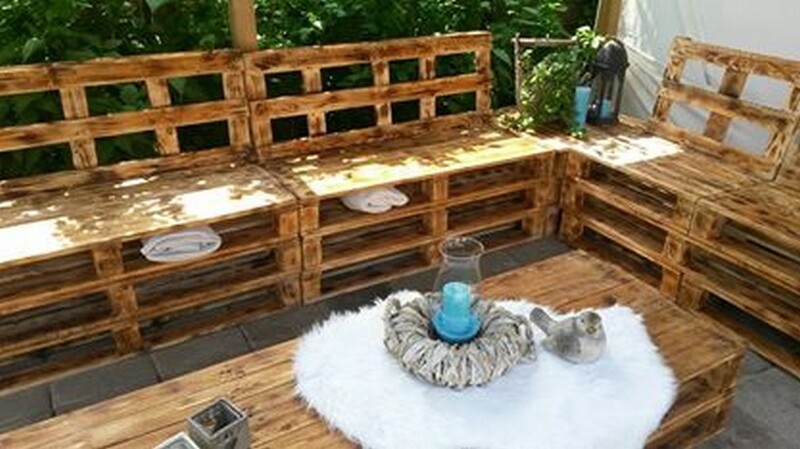 Whenever we come up with some very sensational wood pallet project, we literally face bombardment of feedback where folks seem to be asking about the procedure, basically we bring these wooden pallet inspirations for the ones who are already working on such projects. So this is sort of food for the thought. 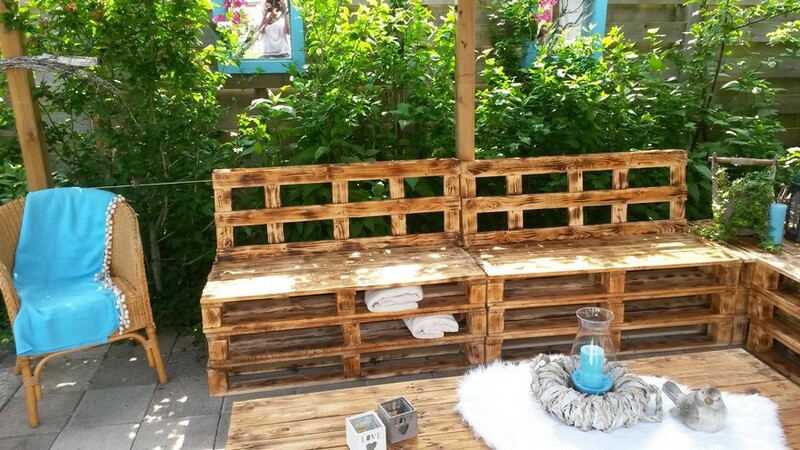 But here is a DIY wood pallet patio furniture set where we are going to demonstrate some of the major procedures of making this wooden pallet furniture range. I think this would give you a clear glimpse of the inside job and how it actually works. 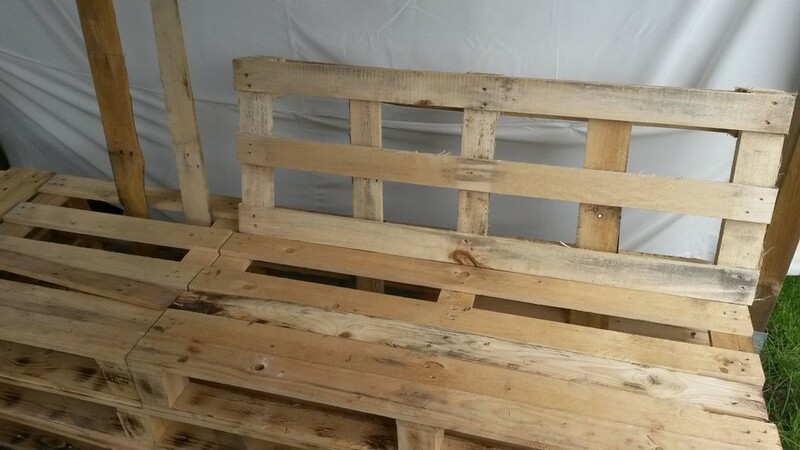 First of all this whole work is done when the whole pallets were disassembled first with dismantler, each pallet plank was sanded nicely with a sand paper that is easily available on hardware stores. The scars of nails were refined very nicely and we made this basic frame. Now this is the best of staining like it is not that regular stuff where you just grab a brush and a box of paint and start staining the wood. But this is a specialized tool in drawing these spray patterns where the stain is inserted inside this bottle attached with a spray. Here we have presented the whole wood pallet furniture range which is stained with this specific pattern that we have discussed earlier. 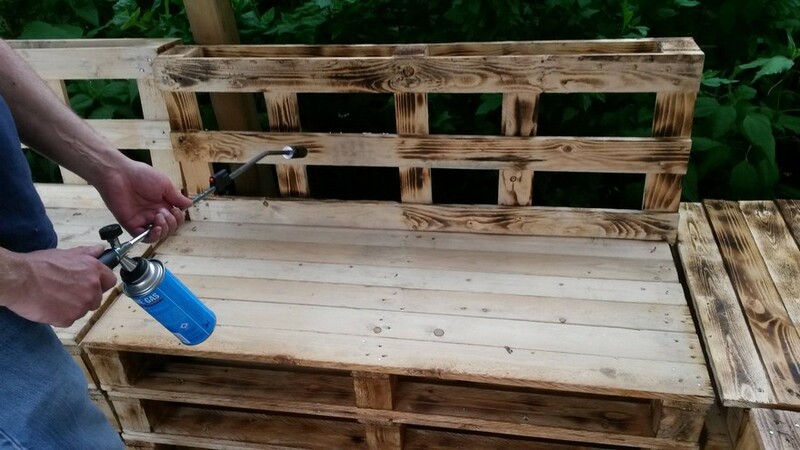 Make sure to put on the goggles while working with this spray gun. And give a mild touch or sprinkle on each plank maintaining a symmetry. And finally for this inside job, take the common Edison bulbs. 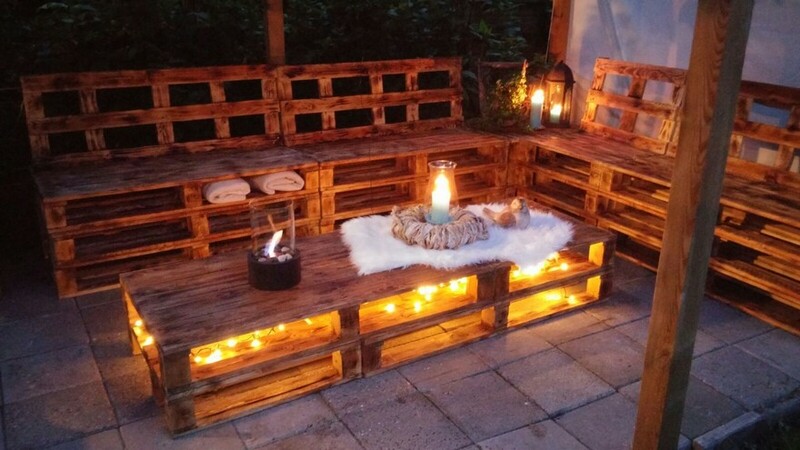 Attach the wire in a camouflaged manner on the hidden corners, fix the bulbs to the base and middle tier of the table by carving the fixed holes for each separate unit, and connect with electricity to light up the table.